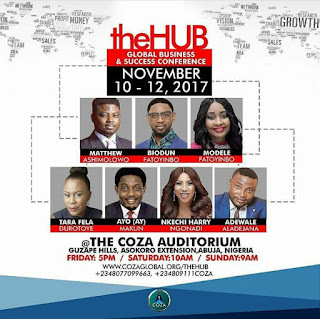 #TheHub2017 COZA Global Business and Success Conference Experience + Lessons! 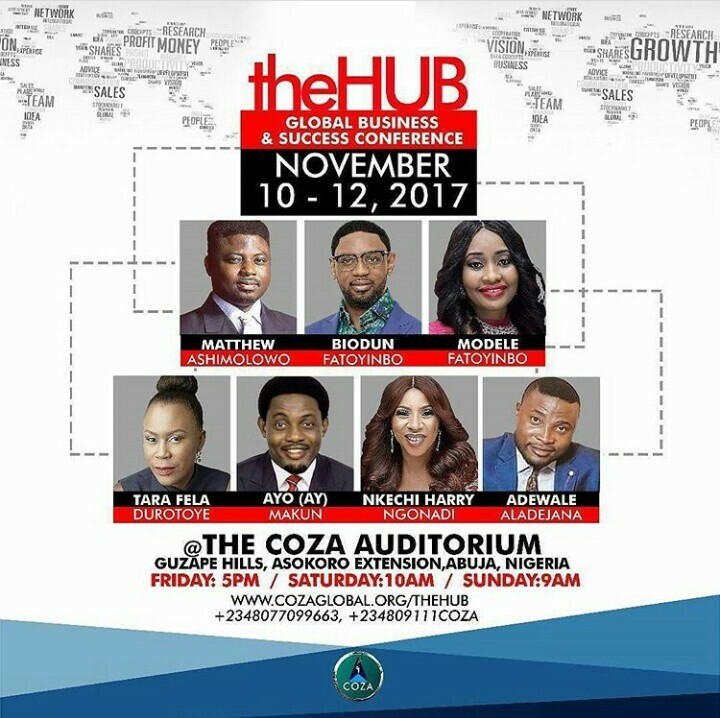 So, I was at #TheHub2017 Global Business and Success Conference last weekend (10th-12th November) and it was such an awesome experience, one that's quite unforgettable. 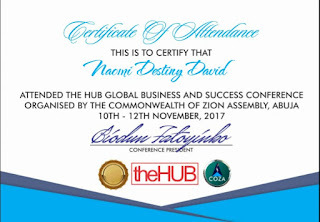 The Hub is an annual and global business conference put together by The Common Wealth Of Zion Assembly (COZA), Abuja in Nigeria to educate and train individuals on what it takes to build a thriving business and successful career in today's world in order to gain capacity for wealth creation and management. 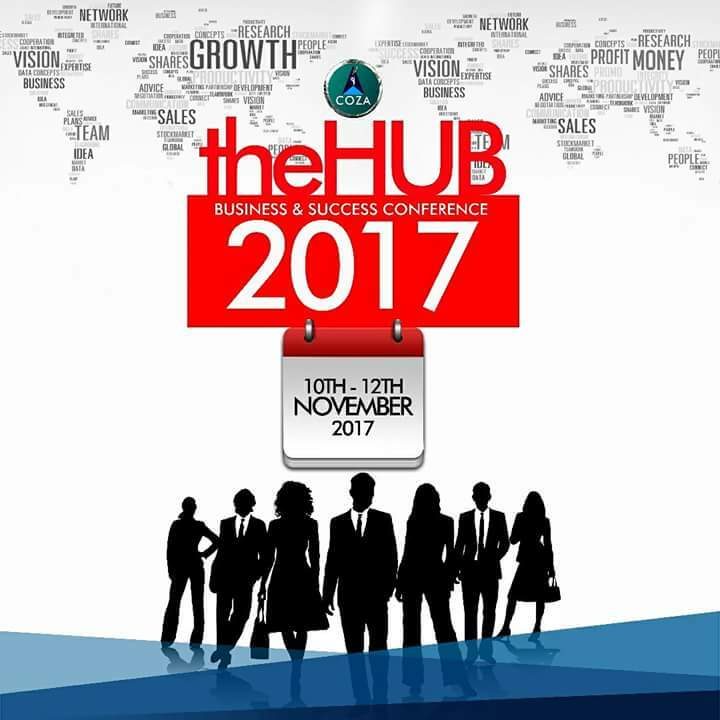 The conference was a phenomenal, one filled with Kingdom giants, Global intellects, Multimillionaire C.E.O's and Founder's. In attendance was; The Reverend Biodun Fatoyinbo and Pastor Modele Fatoyinbo (Senior Pastors, COZA Global), Pastor Matthew Ashimolowo (Senior Pastor, KICC), Dr. Emmanuel Ibe Kachikwu (Minister of State, Petroleum Resources), Tara Fela-Durotoye (CEO, House of Tara), Ayo (AY) Makun (CEO, Corporate World Entertainment), Adewale Aladejana (Master Perfumer, Sapphire Scents), Nkechi Harry Ngonadi (CEO, NHN Couture), etc. I know a lot of you kept wondering what was so fascinating about it, what was the hype all about, and what was to be taught or learned there. 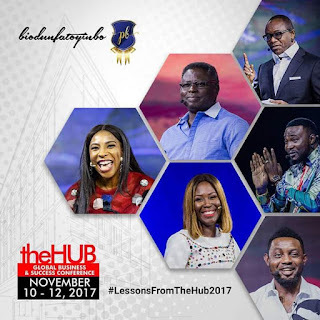 This was why, I decided to put up my personal experience and share vital key lessons I learned with my online friends and blogfam. Hopefully those who missed can pick one or two lessons from it. Enjoy! My favorite speaker's had to be Adewale Aladejana, Ayo Makun, and Tara Fela-Durotoye because they spoke straight into my heart and I could totally relate to their success stories and experience. 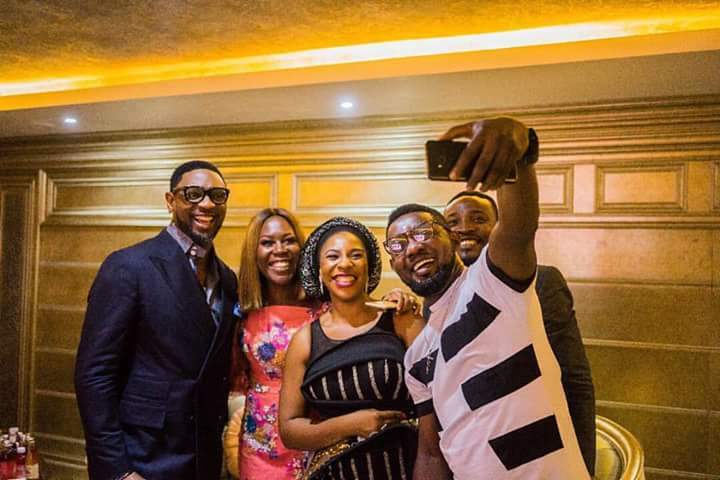 Pastor Matthew Ashimolowo and Nkechi Harry Ngonadi did blow me up too. They all did wonderfully well and made us wanting more. 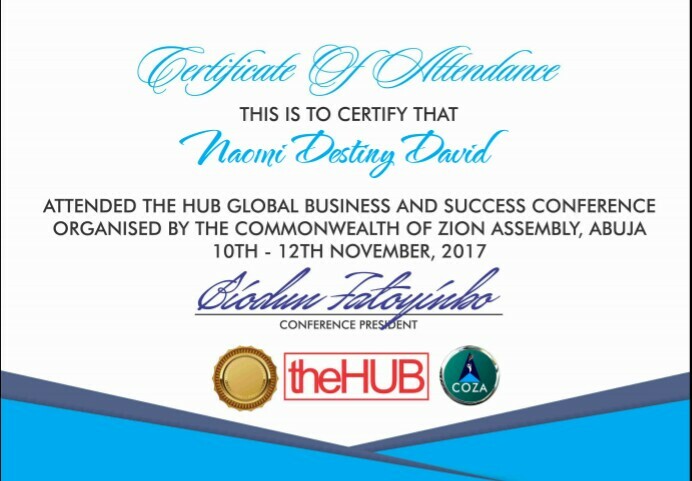 It was a 3-days free conference for everyone including those who registered online. I made sure I got to the auditorium early, sat in front where I could see all the speaker's clearly because I was so expectant. The 2nd day was quite a day for me because I was there between the hours of 9am - 9:30pm, although the event started around 9:30am and ended by 9pm. I was already used to such special gatherings so I was not suprised by everything but was quite fascinated. 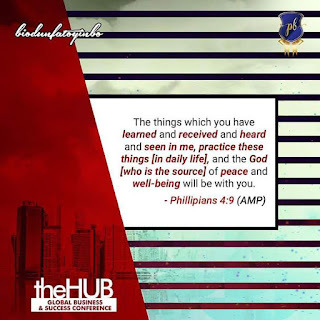 The 2nd day of the conference was a long one and I felt so weak when it was time for the 1 hour break (5pm-6pm), I guess that was because I failed to have breakfast before coming that day, I didn't know we had take much time. I was so much in a hurry to leave the house and arrive at the venue early. Well, thankfully they were some really nice and cool food stores around that day just incase anyone needed something to eat, drink, or snack on. I ate something and when we came back from the break, Mummy D (Pastor Modele) charged us up in prayers and my strength was renewed. I was also a bit late for the final day (Day 3), didn't get a front seat but I got somewhere comfortable inside the Church auditorium and I was equally blessed. So, I hope you were able to pick a few lessons from the summary of my notes and experience? Above all, I hope you put into practice what's been taught and learned. 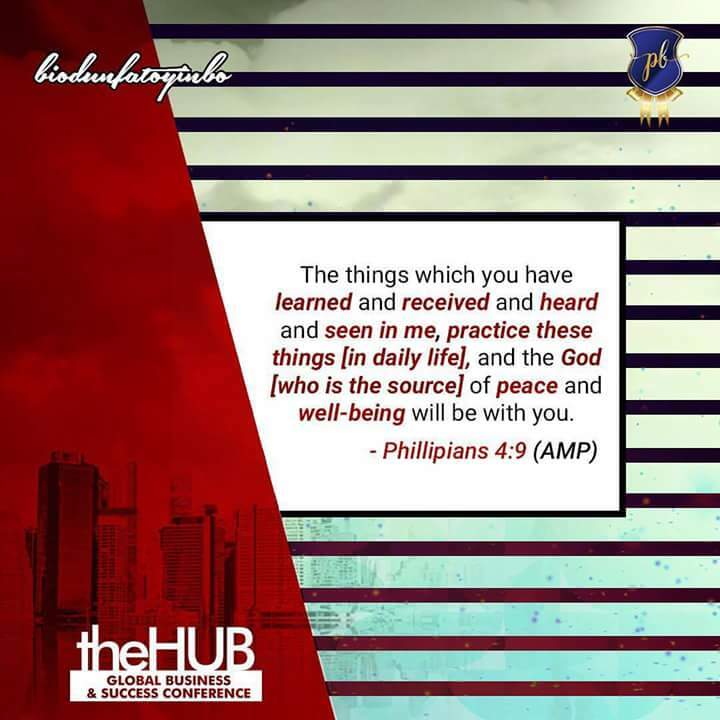 It's not enough to gain knowledge but that what's been gained, be useful and impactful. I personally have started implementing changes to my life, career, and business. I hope we can all do the same! 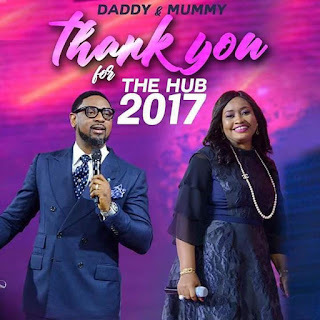 Finally, I just want to say a very big thank you to the Hosts, Pastor Biodun and his beautiful, amiable, tongue talking, and slaying wife especially for their investment in my life these past days. Gosh...I'm deeply grateful! 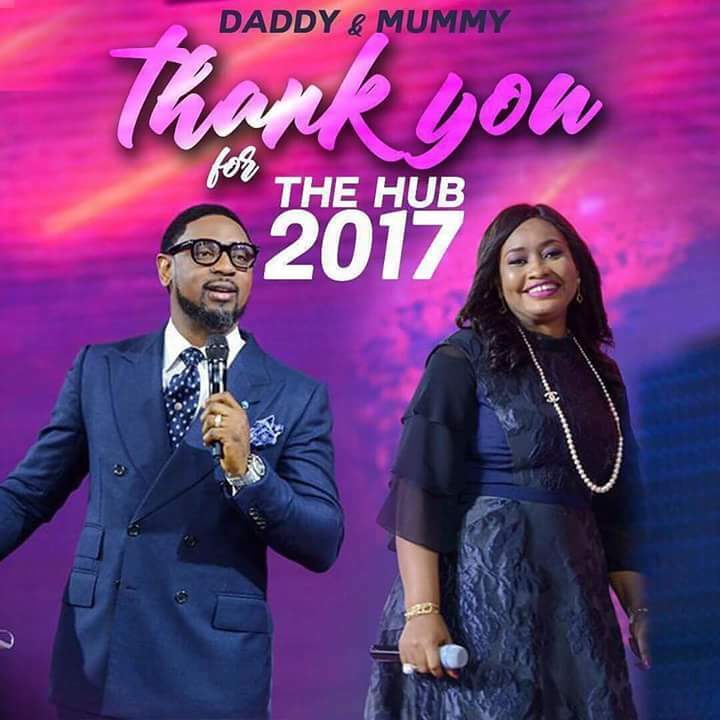 I deeply celebrate the grace of God upon them, they have been such a huge blessing in such a short period of time. P:S - I 'm so sorry I couldn't take pictures or get a good selfie for you guys, I was totally carried away by the experience including the fact that I just wanted to focus on the conference and avoid distractions. But guess what? 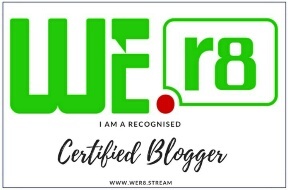 I was issued a certificate for registering and attending. 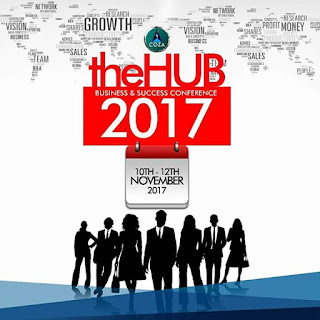 I was at the hub conference and I can totally relate to your experience...It was super awesome! Hope to meet with you someday, thanks for sharing this helpful content. Hey BJ...It's great to hear from you, thanks for the support!